¶ 3 Leave a comment on paragraph 3 0 I wrote poetry, and I always wanted to make music. But I never put the two things together. Just a simple thing like being a singer-songwriter – that was a new idea. It used to take three people to do that job. And when I heard “Positively Fourth Street,” I realized that this was a whole new ballgame; now you could make your songs literature. The potential for the song had never occurred to me. ¶ 5 Leave a comment on paragraph 5 0 I don’t know if it was the greatest music ever made, but it certainly was the most spontaneous. ¶ 7 Leave a comment on paragraph 7 0 Dylan said shortly after recording Highway 61 Revisited: “I’m not gonna be able to make a record as good as that one”. Dylan was twenty-five years old with a long future of record-making in front of him. But he was right. Highway 61 is his greatest achievement. Although he would make many other terrific records, none has had the impact of Highway 61 on the world of popular music. ¶ 8 Leave a comment on paragraph 8 0 “The first time I heard Bob Dylan, I was in the car with my mother listening to WMCA, and on came that snare shot that sounded like somebody had kicked open the door to your mind,” Bruce Springsteen said during the speech he gave for Dylan’s induction into the Rock and Roll Hall of Fame. Springsteen was speaking specifically about the song Like a Rolling Stone, but he could have been talking almost any song on the album. 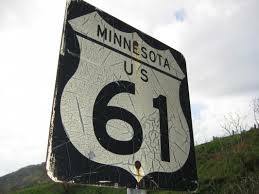 Highway 61 was monumental achievement. ¶ 9 Leave a comment on paragraph 9 0 It’s hard to do something that nobody has done before, but Dylan did it with this recording. He successfully took the powerful and raw literary language of the Beat poets, the imaginative storytelling of the folk music, the street poetry of the master bluesmen, a bit of the ranting of the street preacher, and somehow mashed them all together into a very tight, cohesive unit. Next he married his lyrics to blues-based rock’n’roll, and topped it off with a startling and singularly effective vocal technique that had never been heard before. Although Dylan had used all of these techniques before, only on this recording did he bring them all together for an entire album. 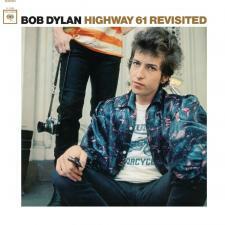 Highway 61 Revisited is not only Dylan best work, I think it is the greatest rock ‘n’ roll record ever made. ¶ 10 Leave a comment on paragraph 10 0 Highway 61 was recorded over a two month period, not including a failed attempt to record with John Mayall’s Blues Breakers (which featured a young Eric Clapton on guitar). The first sessions were done on June 15th and 16th of 1965, which yielded only one song, Like a Rolling Stone. The album was finished at a second set of recording sessions held August. Dylan switched producers, from Tom Wilson to Bob Johnston, between the two sets of sessions. 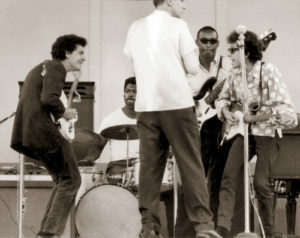 Guitarist Mike Bloomfield suggested that the switch was made because Dylan was not satisfied with Wilson’s work with a band, although others, including Dylan, claim to have no knowledge of why the change was made. ¶ 11 Leave a comment on paragraph 11 0 Great art is often a product of interesting historical periods, and 1965 was definitely a time of turmoil in America. The Vietnam War was quickly escalating, and the country’s unease with the strategy and the morality of the war was growing. The civil rights movement was in full swing, and violence in the streets was a regular event, with large riots occurring in Selma, Alabama and in Los Angeles, among others. Malcolm X, a black civil rights leader who promised to take the civil rights fight into white America, was shot and killed. In general, a new morality was taking hold of the younger generation, which questioned the authority and wisdom of the nation’s leaders and thinkers. There was a feeling of freedom, and also anger at an older generation that not only failed to see the possibilities of this new way of thinking, but actively tried to repress it. The revolutionary ideas, the angry tone in the lyrics, and the harshness of the music of Highway 61 undoubtedly were fed by the turmoil of the times. ¶ 12 Leave a comment on paragraph 12 0 Dylan was also experiencing a good bit of turmoil in his own life. Personally, he had just recently parted with long-time friend and lover Joan Baez, and had met Sara Lownds, who would eventually become his first wife. Professionally, Dylan was experiencing a strong, and what must have been completely baffling to him, backlash from critics and friends concerning his move to rock ‘n’ roll. Irwin Silber, editor of the influential Sing Out! Magazine, wrote an article with the title “Open Letter to Bob Dylan” in which he bitterly criticized Dylan for abandoning protest songs and folk music. Although Like a Rolling Stone was making its way up the singles charts quickly, his electric performance at the Newport Folk Festival got at best mixed reviews from his fans, and the same was true of his subsequent US tour. ¶ 13 Leave a comment on paragraph 13 0 The title of the album refers to a highway that runs from Thunder Bay, Ontario through Dylan’s birthplace, Duluth, Minnesota (which is close to his childhood home of Hibbing) all way through the middle of the country, ending in New Orleans. This highway is well-known for being the route that hundreds of southern blues and jazz musicians traveled in search of northern factory jobs during the early parts of the 20th century. Many of the most influential blues musicians traveled this route, including Muddy Waters, and Howlin’ Wolf. Along the way they spread the southern blues into other parts of the country. ¶ 14 Leave a comment on paragraph 14 0 Certainly Dylan was using the album’s title as an allusion to the influence the blues had on the music. Why he tacked on “Revisited” is less clear. Perhaps he is referring to his return to the blues-based rock music that had influenced him as a teenager, when he listened to blues stations on the AM radio in his room and played Little Richard and Elvis Presley covers in his early bands. ¶ 15 Leave a comment on paragraph 15 0 The cover photo was taken by Daniel Kramer, also the photographer for the Bringing It All Back Home cover. The photo shows Dylan with a semi-scowl on his face, wearing some kind of weird blue shirt with an orange butterfly-like pattern, and a t-shirt underneath with an advertisement for Triumph motorcycles on it. Sidekick Bob Neuwrith stands behind him, his camera dangling from his hand. I imagine this photo was selected to emphasis the rebellious lyrics and music of the album. ¶ 16 Leave a comment on paragraph 16 0 Dylan’s liner notes consist of several rambling paragraphs of unintelligible drivel. The notes were written in a style similar to that used in his book, Tarantula, which was written in 1965/66 but not released until 1971. Like the liner notes, it too is mostly unreadable. ¶ 17 Leave a comment on paragraph 17 0 Dylan and producer Tom Wilson recruited a formidable group of musicians to play on the record. Dylan asked Mike Bloomfield, the guitarist for the Paul Butterfield Blues Band, to play guitar. Bloomfield had never recorded in a studio before, and said he didn’t even own a case for his guitar when he showed up at the studio. It turned out to be a wise choice, as Bloomfield’s fierce sound with a heavy blues-influenced style gave the album much of its musical identity. Al Kooper was invited by Wilson to play guitar on the record, but ended up playing the famous organ part on Like a Rolling Stone. Other key players included Paul Griffin on piano and Bobby Gregg on drums. ¶ 18 Leave a comment on paragraph 18 0 Highway 61 is really a monumental achievement, arguably the high-water mark for the art form. It influenced an entire generation of artists, and continues to influence rock musicians today.